On December 1 we crossed the border for another four months of sun, fun, relaxation and fulfillment, much as we did last year. 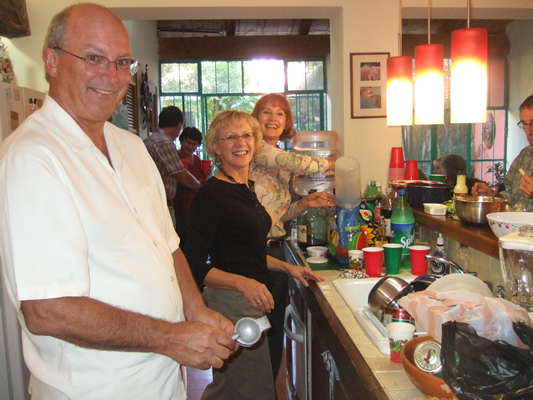 One main difference is that Glorine's sister Maureen and her husband Wayne are now full time residents here. 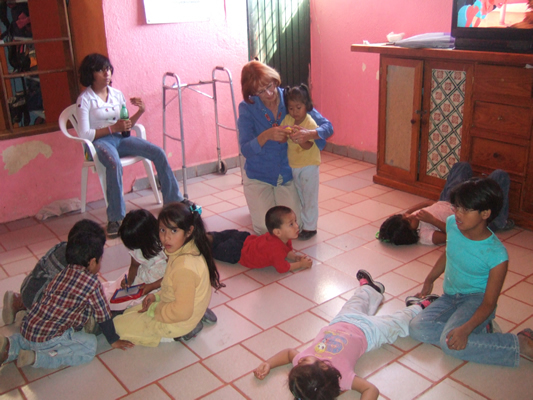 Their ten day stay with us last January was a life altering experience for them and they are having the time of their lives. We have made so many great friends and now we can share this wonderful experience with family. Click here to give us your update. Larry and Glorine. 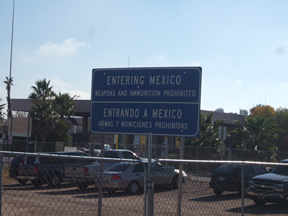 With our lease starting on December 1, we crossed the border in Nogalas as planned. The trip seemed much more relaxing and breathtaking than we remembered it to be in December 2007. 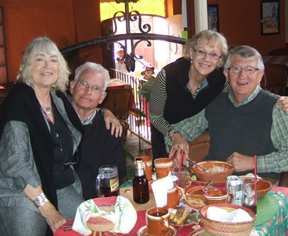 It took three days with stops in Guaymas (which is on the Sea of Cortez), then Mazatlan, another coastal resort town then into Ajijic as planned. 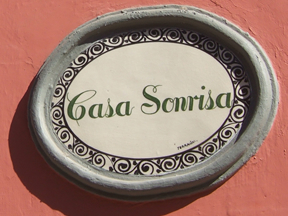 Welcome to Casa Sonrisa or "The House of the Rising Sun." 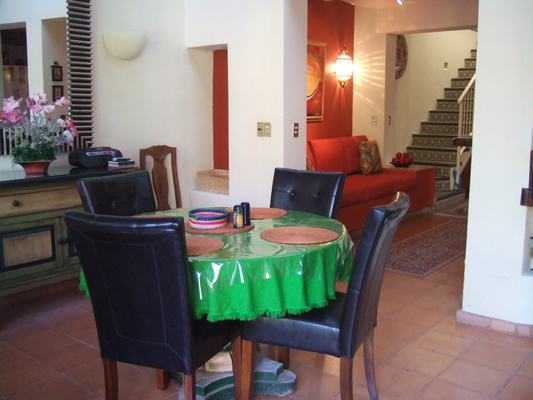 It is located in the heart of Ajijic, about one block from the plaza and two blocks from the main Catholic Church. In December, we put less than 100 miles on the Jeep as we can walk to the places we frequent most. 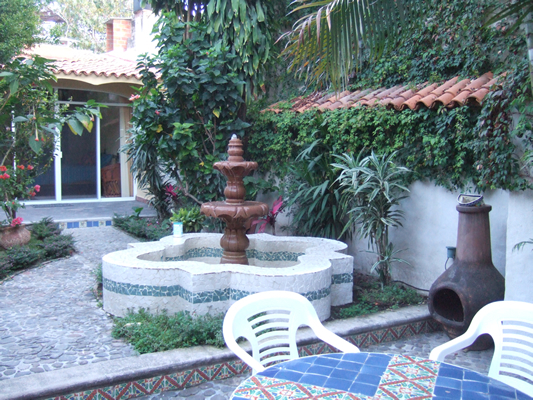 Our casa is a two story, one bedroom, 1-1/2 baths and two garages. 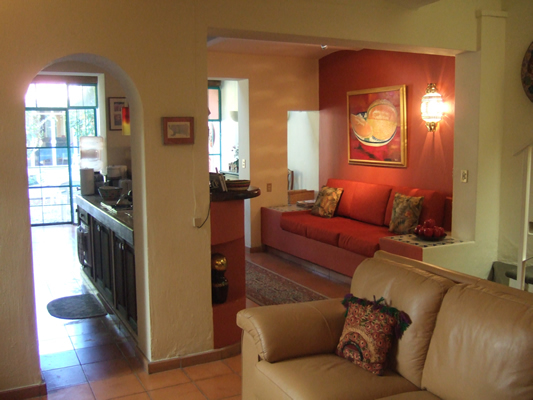 We also have a casita "Little House" in the back of our property that consists of a master bedroom suite and laundry room. Here are four random pictures that attempt to capture the inside of the main floor and our back patio leading to the casita. The owners brought in an interior decorator to maintain the Mexican look, with some American creature comforts that we come to expect, like a soft couch, dishwasher, garbage disposal, etc. 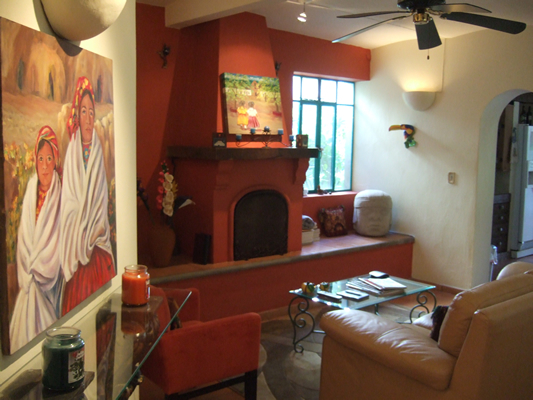 The paintings are original and the sculptures and nick knacks are all made from cooper or clay from Mexican villages. There are two fireplaces one up in our master bedroom and one down They have proven to be more for aesthetics than for heat. 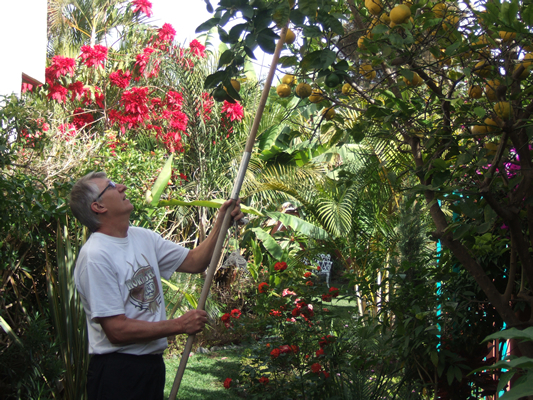 What really makes this casa most enjoyable is the garden with exterior paintings, tropical plants (like giant Poinsettias), banana trees, lima (a cross between a lemon and lime), which Larry is pruning and juicing and other plants yet to be figured out. 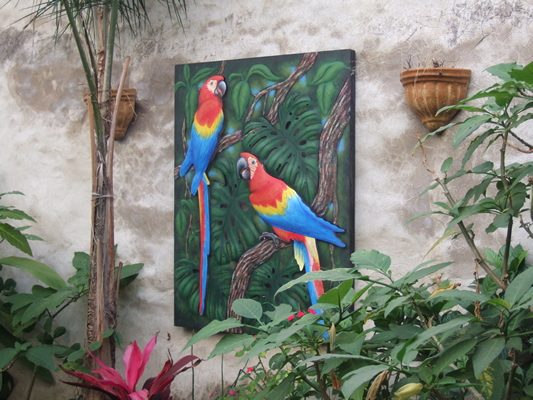 Dining on the patio is a treat, watching the butterflies and hummingbirds feasting on the beautiful vegetation. 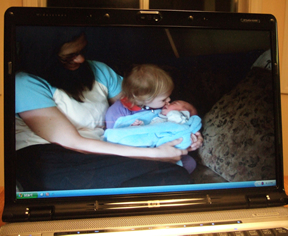 After our six months immersion with our children and grand children it is nice to use technology to reach out and watch them, listen to them and, while minor, be a part of their lives. Our SKYPE allows us to call computer to computer for free and to land lines and cell phones for a mere 2 cents per minute. People can not call in, but we check emails daily. 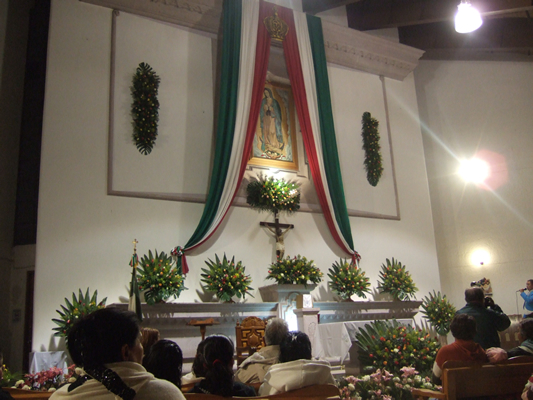 Mexicans must have at least one national religious holiday per month and we are blessed to take in some of the local festivities and customs. 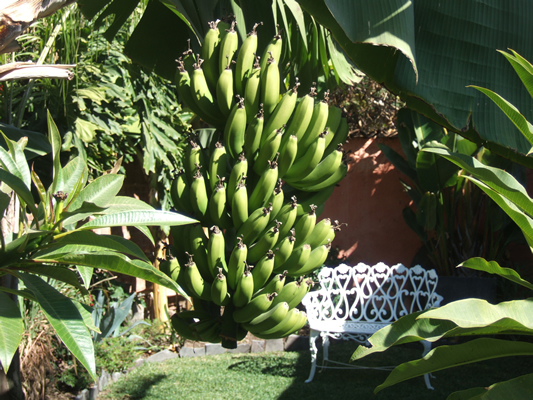 This holiday is the Lady of Guadeloupe. 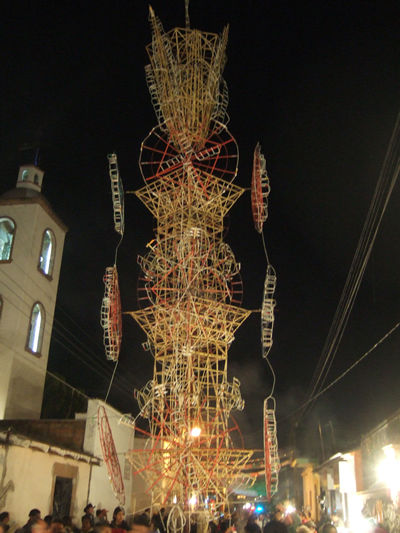 While Ajijic is very small, it has three Catholic Churches within six blocks of one another. Here is the Church of Our Lady of Guadeloupe. 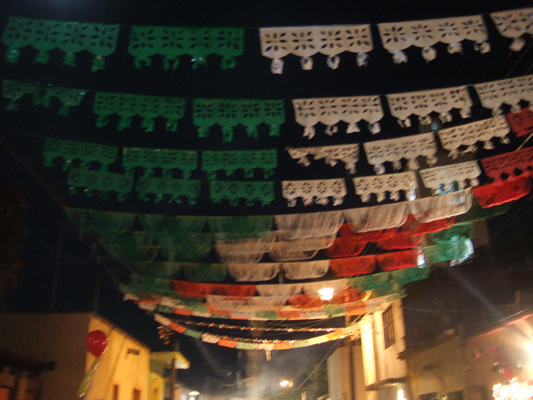 The streets were blocked off to traffic for about ½ mile and lined with paper decorations. 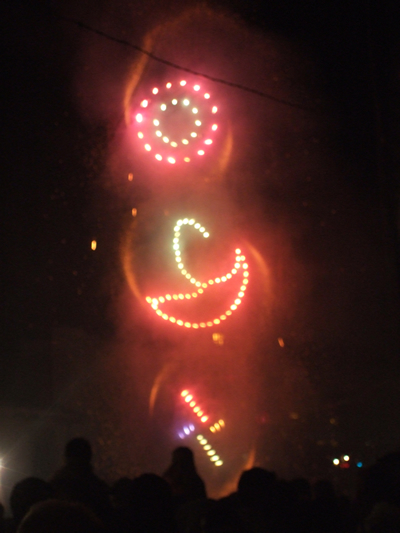 They built a three story fireworks tower that gave us a remarkable show that lasted about 20 minute. 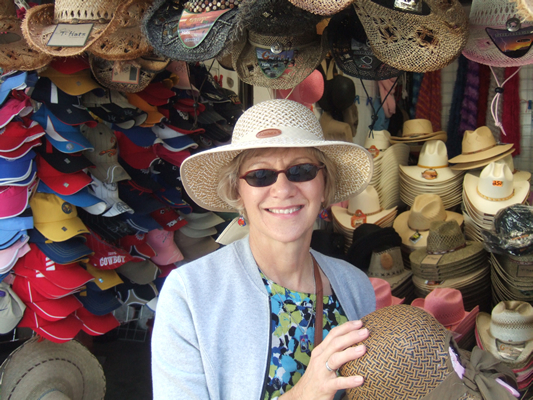 Off to the market in Chapala, a town near Ajijic. 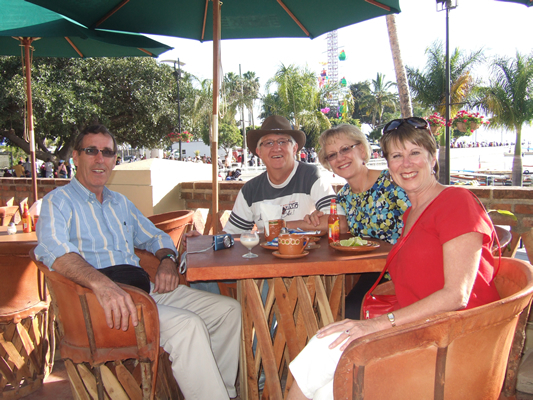 Here we met up with friends, Rick and Kathy (Canadians we met last year) to share the day together. 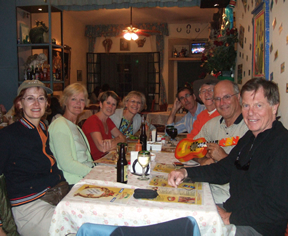 Of course the outing started with a beer or two, then touring vendors that lined the shores of Lake Chapala. 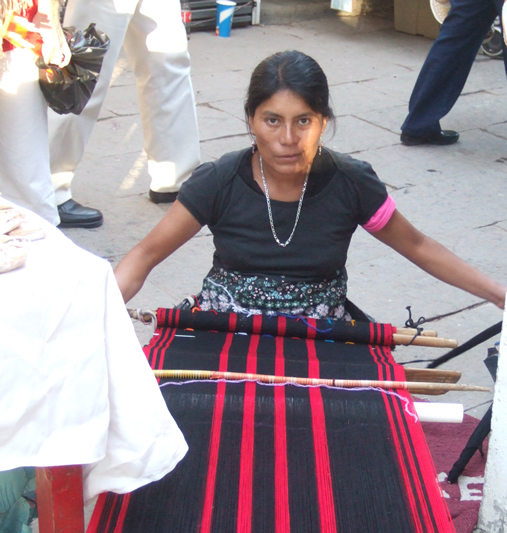 Here is an Indigenous Mexican women (we call them Native Americans) carrying out an ancient tradition of hand weaving. 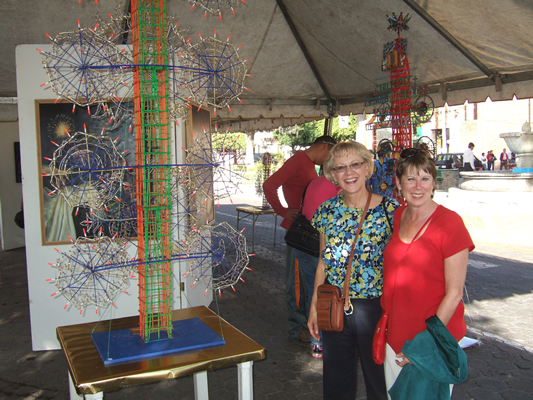 We also got a close up view of a miniature fireworks tower and Glorine went shopping for a new hat. Things are so inexpensive; they are hard to pass up. Birthdays are another reason to celebrate. 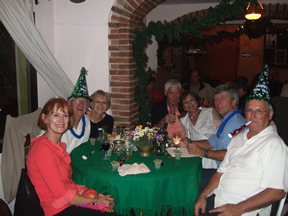 Wayne turned 62 and a group of friends went out for dinner and drinks to join in his celebration. He will get his first Social Security check in a month. We can't wait! 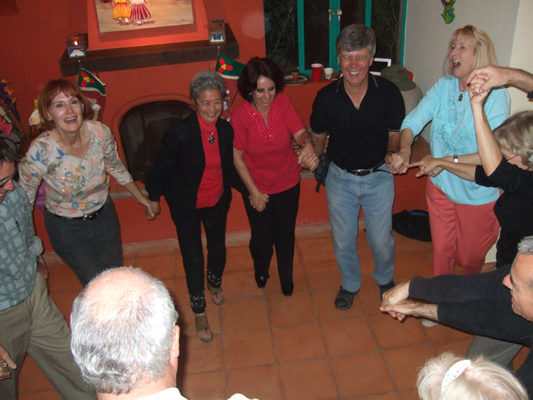 Ringing in the Holiday is what we dubbed our first "Casa Party," which we co-hosted with Maureen and Wayne. We had 40 people over from 3:00 to 10:00. 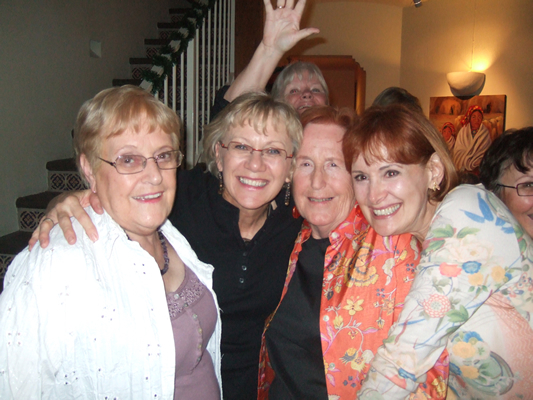 Most of our guests are friends we met last year and as you can see-it was a blast. 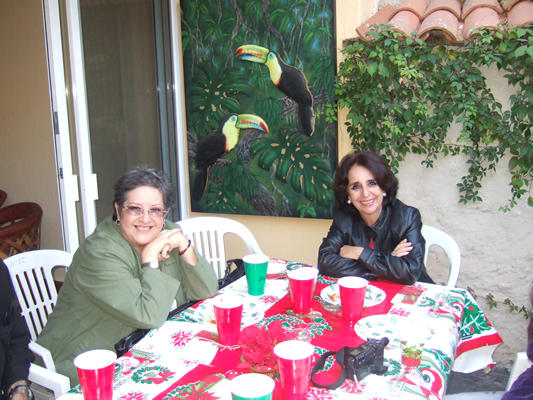 Here are a couple of special friends we met from Guadalajara and have maintained contact with this past year. 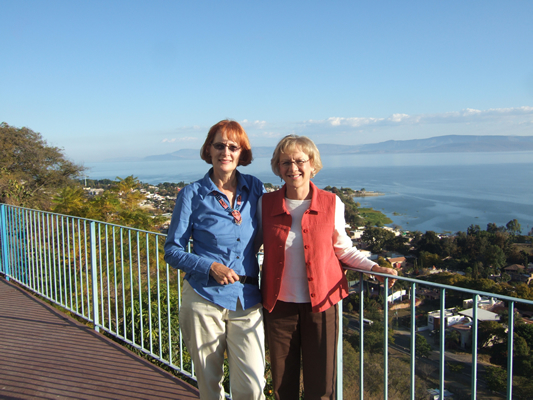 Glorine and Maureen are not the only sisters living here in Ajijic-here are Hilary and Gale, sisters from Canada. We moved the furniture out of the living room to make way for a dance floor that everyone seemed to enjoy. What a great way to ring in the holiday! 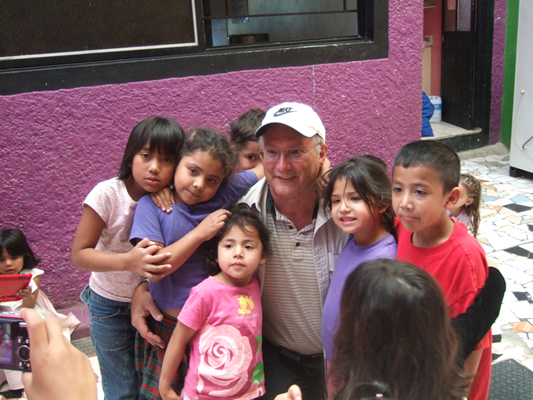 One of the things that many "gringos" do in Mexico is to find fulfillment through volunteering. 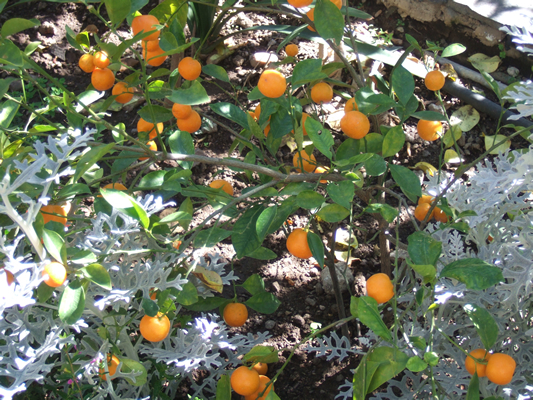 Glorine has re-immersed herself with the Eco Lecture Series she helped start last year. 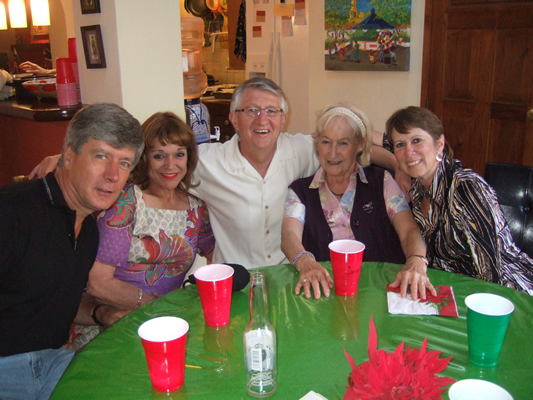 Maureen and Wayne spend at least one day a week helping out with a children's art class and also time at an orphanage called "Love and Action." 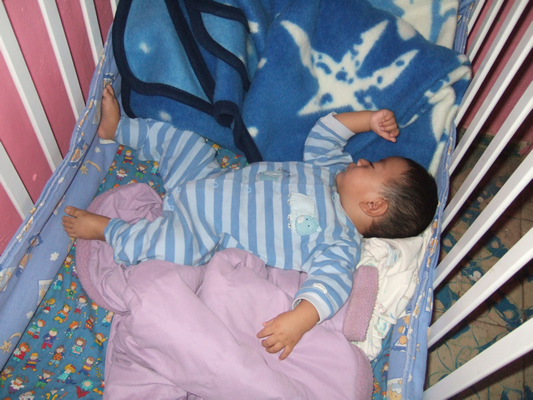 The kids range in age from babies to pre-teens. Being touched is the greatest gift one could give. 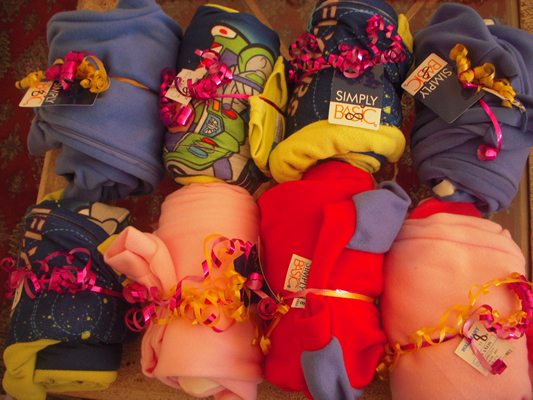 Also, a group of us got together and bought over 50 pairs of pajamas. 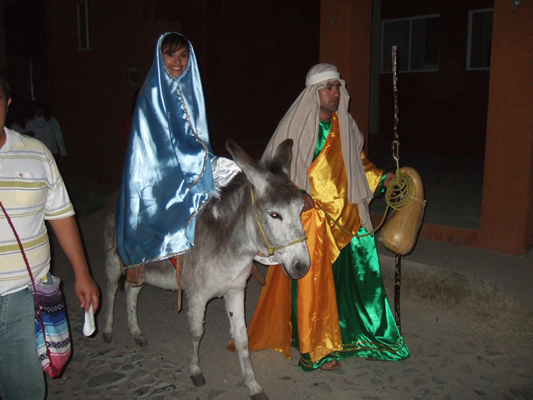 Christmas in a small Mexican village is a real treat. 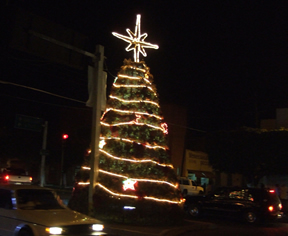 It is celebrated along side of Honokaa, Ramadan and other lesser known religion events-all within a week or two of the winter solstice. Other than gifts for the poor, homeless or orphaned, gifts are rarely exchange. Peace and love exudes from this little home away from home. 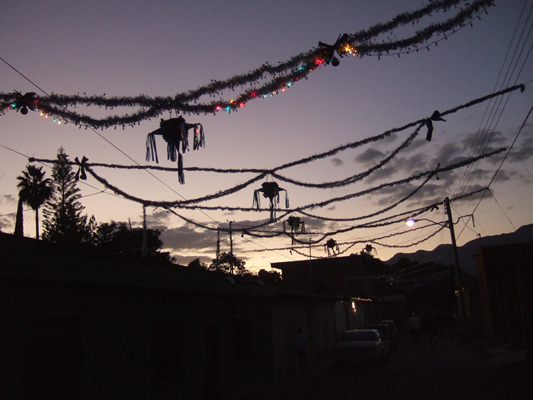 In nearly every village, there is a children's parade that start at about dusk during the week of Christmas. 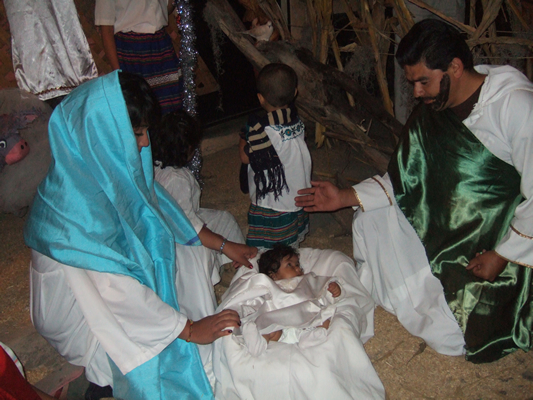 We went to a town called San Antonio, and caught some pictures of the decorations and the kids following a donkey with people portraying Joseph and Mary. They stopped along the way to find an inn to stay at, but none was found. The last picture is a depiction of the manger. 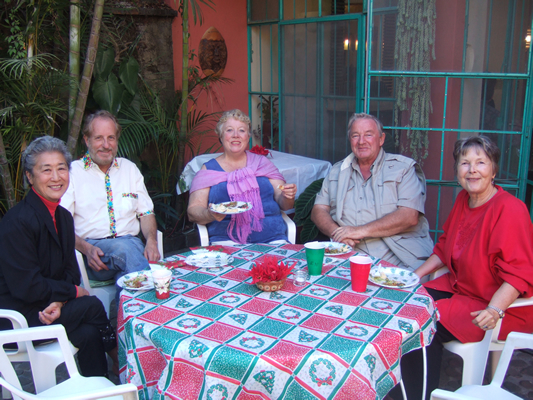 On December 28th we spent the day with some friends Chuck and Jean, whom we met last year. They were married on the same day, month and year as Glorine and I. We started out about noon to take a trip around the other side of the lake, but with lunch and sight seeing, we made it about 15 miles from Ajijic. Chuck and Jean are from Oakland and own a home about a block from ours. Here we are celebrating New Years at a restaurant about ½ blocks from our house. 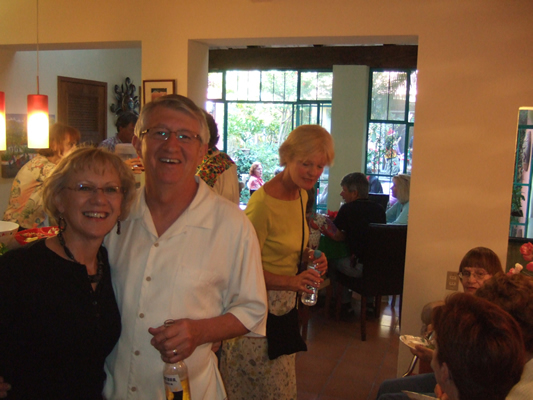 Maureen and Wayne parked their car in our spare garage and spent the night in the casita. Friends Norm and Lil, joined in for the festivities. For $46 per person, we got to chose between lobster or steak, all the trimmings and all the wine we could drink. 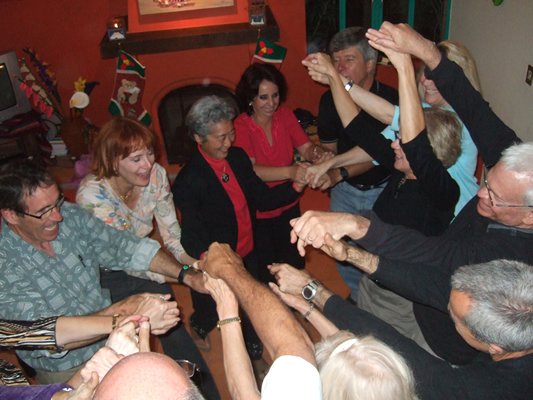 We had live music to dance the night away. 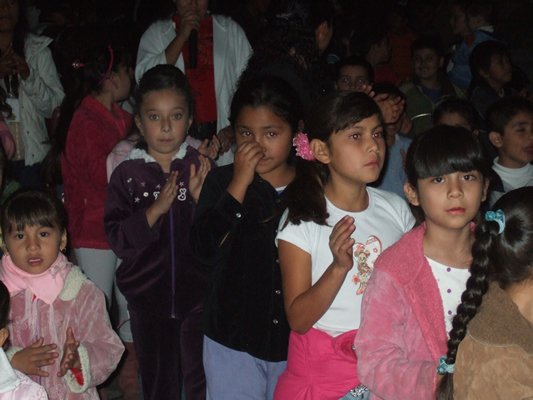 We also participated in a Spanish tradition of eating "12 grapes" one each time the bell sounded. It is impossible! 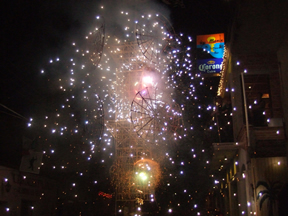 And yes we got to witness another spectacular fireworks tower right in front of the restaurant. What a way to bring 2008 to a close and ring in another year in such a peaceful place. We hope all your dreams came true and that you enjoy every single moment of 2009 and beyond.